Amritpal Singh, seasoned centre of the Indian national team, has been formally invited to join the Sydney Kings for a tournament called the Atlas Challenge 2017 to be played in Suzhou, China. This invitation brings him one step closer towards joining the Sydney Kings roster and becoming the first Indian national to play in Australia’s National Basketball League (NBL). Singh had impressed several teams at the NBL Draft Combine earlier this year, after which he received this invite. 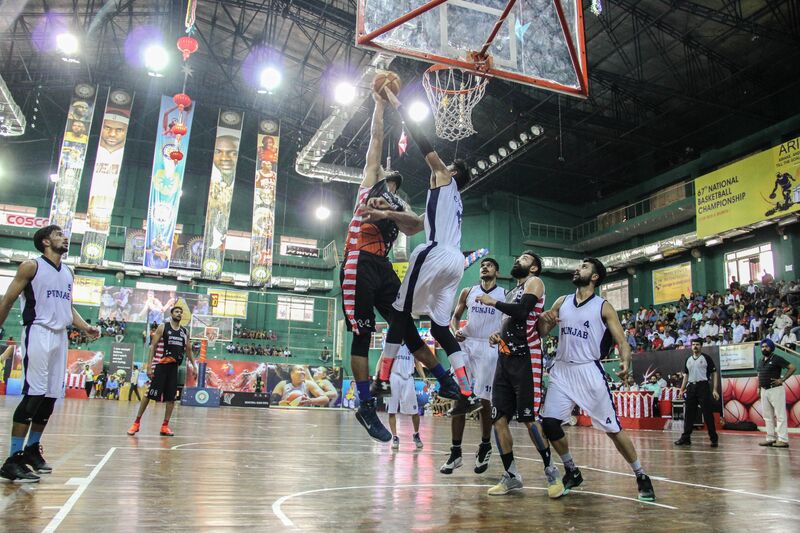 Amritpal Singh of Uttarakhand dunks on Gurvinder Gill of Punjab during their semifinals game. Image credit-Basketball Federation of India. Bengaluru, 19th June 2017: Amritpal Singh, the near 6’ 10’’ centre of the Indian national team, has been formally invited to join the Sydney Kings for a tournament in China, known as the Atlas Challenge 2017. The Atlas Challenge 2017 consists of eight teams from various countries, and will be played from 16th to 25th July 2017, in the city of Suzhou which is 100 km from Shanghai, China. The Sydney Kings are approaching the tournament as an opportunity to evaluate prospective players who may make the Sydney Kings roster at a later stage. This is a huge opportunity for Singh, who impressed a number of teams at the National Basketball League (NBL) Draft Combine in Melbourne, Australia earlier this year. He was part of a four member contingent that also included Amjyot Singh, Yadwinder Singh and Vishesh Bhriguvanshi. A report on the official NBL website reflects high praise for the Punjab centre, and played up his potential to become the first Indian-born player to play in the NBL. Among the stand out features of his play were his defensive presence around the rim, finishing the Combine tied as the leading shot blocker. Singh will be raring to go after standout performances for the Indian team on the international stage: most notably, he averaged 18 points and 10 rebounds per game at the 2016 FIBA Asia Challenge in Iran. The Sydney Kings is a franchise in Australia’s National Basketball League (NBL). A three-time NBL Champion, Sydney Kings are based out of the city of Sydney, New South Wales. The franchise was founded in 1988 and is owned by AEG Ogden. All of the Kings’ homegames are played at the Qudos Bank Arena in Sydney Olympic Park which is also popularly known as ‘The Kingdome’. The National Basketball League of Australia is regarded as one of the premier basketball leagues in the world, and after a humble beginning, is today home to some of the world’s best players.